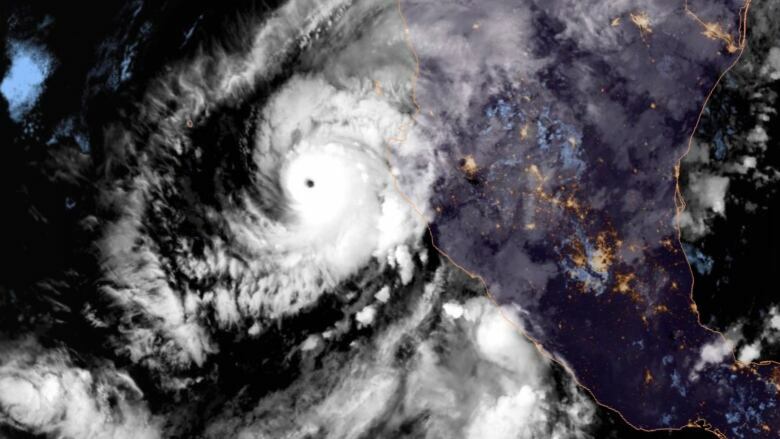 The U.S. National Hurricane Center says Hurricane Willa has weakened slightly to a Category 4 storm as it tracks toward the Mexican coast south of Mazatlan. 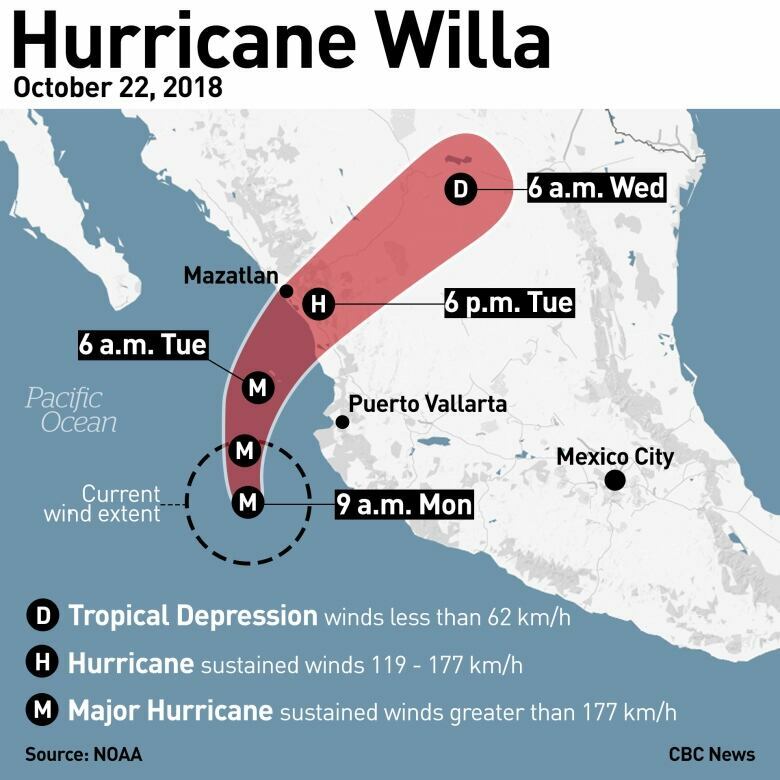 A potentially catastrophic Hurricane Willa swept toward Mexico's Pacific coast with winds of 250 km/h Monday, threatening a stretch of high-rise resort hotels, surfing beaches and fishing villages. After briefly reaching Category 5 strength, the storm's maximum sustained winds weakened slightly to Category 4 by midafternoon. But it remained "extremely dangerous" and was expected to bring "life-threatening storm surge, wind and rainfall" to parts of west-central and southwestern Mexico, ahead of an expected Tuesday landfall, the U.S. National Hurricane Center said. The hurricane was expected to pass over or near the Islas Marias — a set of islands about 95 kilometres offshore that include a nature preserve and a federal prison — early Tuesday, then blow ashore in the afternoon or the evening between the resort town of Mazatlan and San Blas, a distance of about 220 km. It was projected to weaken somewhat before hitting land, but was still expected to be extremely dangerous. Mazatlan, with a metropolitan area population of about 500,000, is a popular vacation spot. It is closer to the U.S. than most other Pacific resorts and home to a large number of American and Canadian expatriates. By midafternoon, Willa was centred about 175 kilometres west-southwest of Cabo Corrientes and moving north at 13 km/h.